Henny's Gourmet, from Pune, India, offer delicious Waffles generously assorted with decadent toppings in 12 flavors. Having a loyal customer base, Henny's gourmet operate for a short duration, and have to be on their toes , as they deliver a full waffle almost every other minute. Henny's Gourmet would serve waffles in paper, PVC or polystyrene foam plates. Because of long waiting time due to longer lines, They would face issues while packing a pre-assorted waffle from plate to package. Due to thick topping, handling waffle was troublesome and needed use of stable and efficient packing of waffle, in plate when serves and in packaging for take-away's. As Henny's also offer Quarter, Half and Full size waffles, Toppings from different flavored waffles had to be compartmentalized. 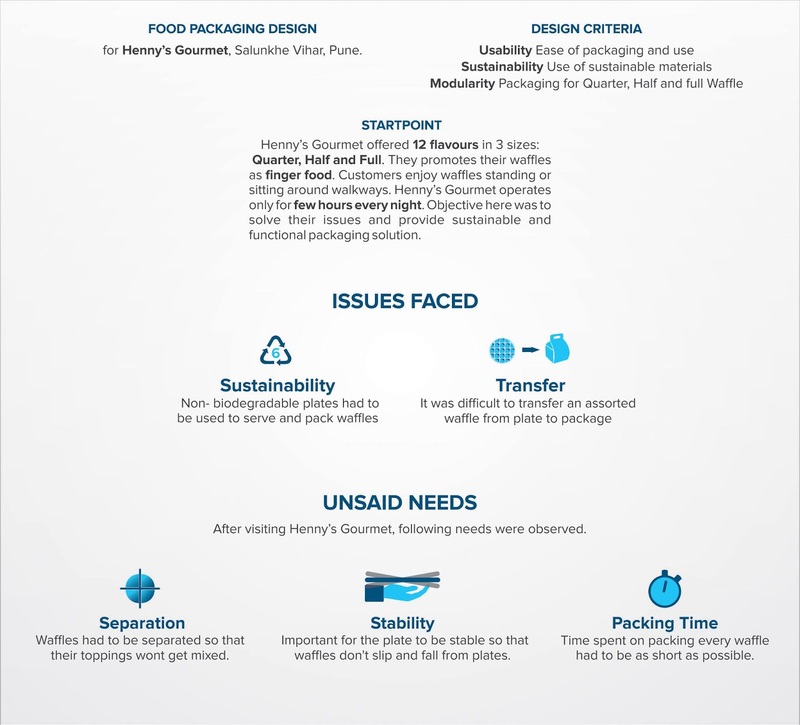 While Designing Packaging, issues of handling waffle plate as well as use of non-biodegradable material was addressed. Iterative Design Process was followed primarily through Low- Fidelity Prototyping, to help with validation each step of the process. 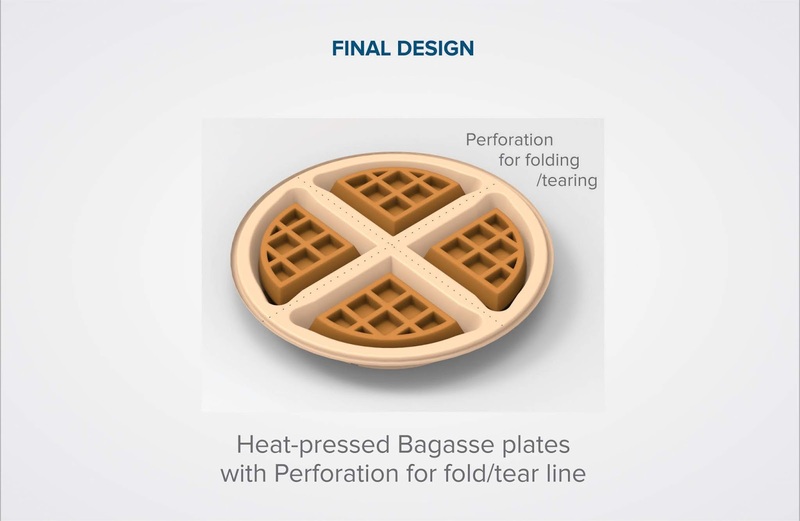 These efforts culminated into designing a Fold-able, tear-able and stack-able plate that transforms into a package, for different sizes waffles are offered. 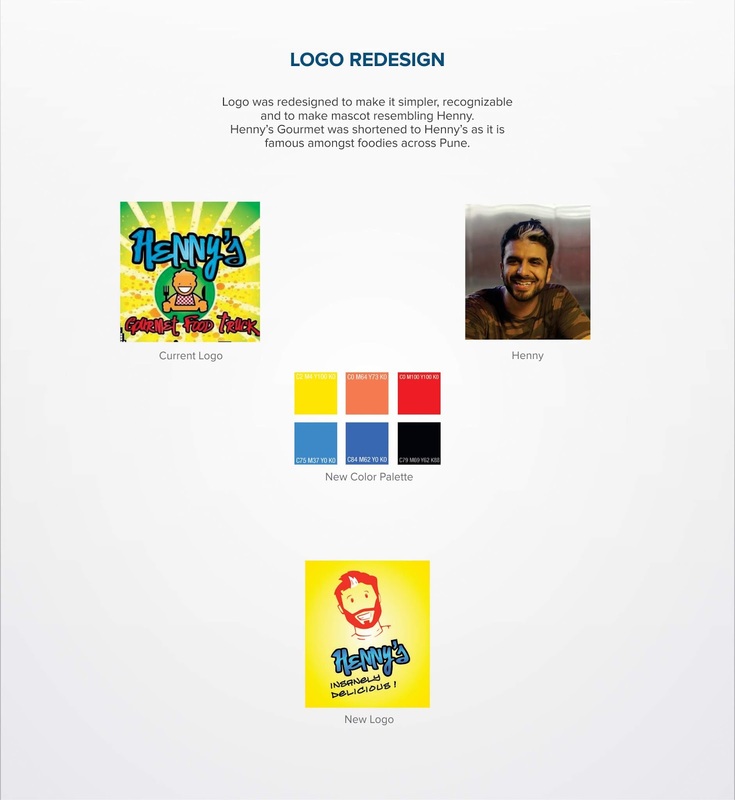 Logo was redesigned to help with brand identity. 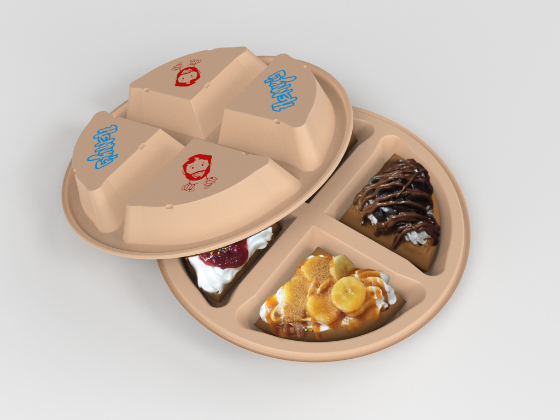 The Packaging has an amazing Modularity , as it could be used as a plate to serve waffles in as well as Packaging for Carry packs without changing plate or need for separate pack. Packaging design is also stackable, reducing space for storage and increasing usability. 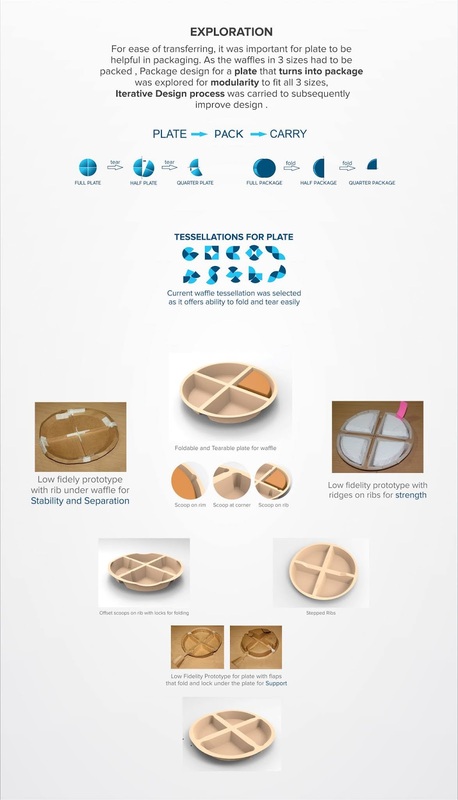 Designed plate is more stable and keeps different flavored waffles separate. Packing time for each waffle was drastically reduced, irrespective of size of waffle. No need for separate packaging , as the plate itself transforms into the package. 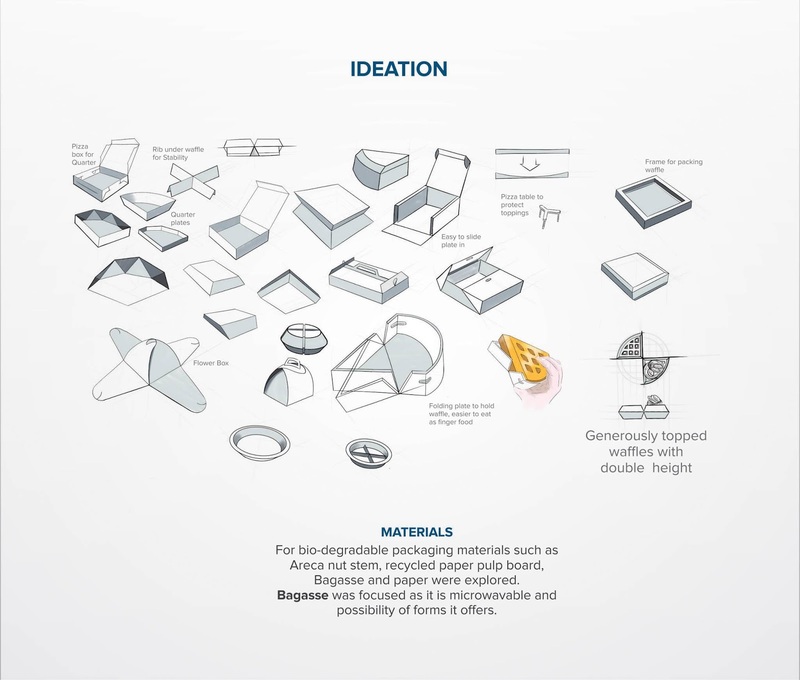 The design in fold-able and Stack-able, eliminating use of tools such as scissors etc. Use of Bagasse facilitated heating waffles in microwaves extending time period of waffles.